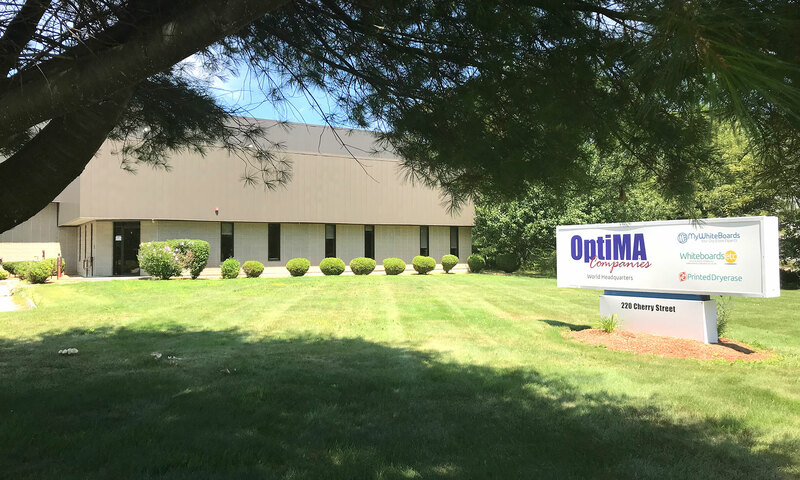 Welcome to OptiMA Inc. home of the exclusive Opti-Print™ method, a way of creating some of the most exciting custom printed dry erase boards and prints available on the market today. We are an online retailer and marketing company that sells visual display products such as dry erase boards, custom printed dry erase products and related products to the education, government & military and healthcare industries. We’re also the creators of Opti-Rite® Dry-Erase Materials, Atlas™ marker trays, Opti-Wipe™ dry erase wipers, MagTray™ magnetic marker trays, RitePlus™ and RiteOn™ dry erase boards along with a host of other wonderful products. 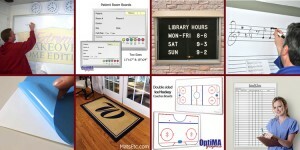 Our e-commerce companies include WhiteboardsEtc.com, MyWhiteboards.com, MagTray.com, AtlasTray.com, Opti-Rite.com and PrintedDryErase.com . We have built our success by treating our customers well, by knowing our products inside and out, by anticipating your questions and by having all of the right answers to be certain we are meeting your every need. Our helpful customer service staff is here to assist you every step of the way making your experience easy and painless. Call us toll free at 877-393-0111 and we’ll start working on solutions to your needs today.